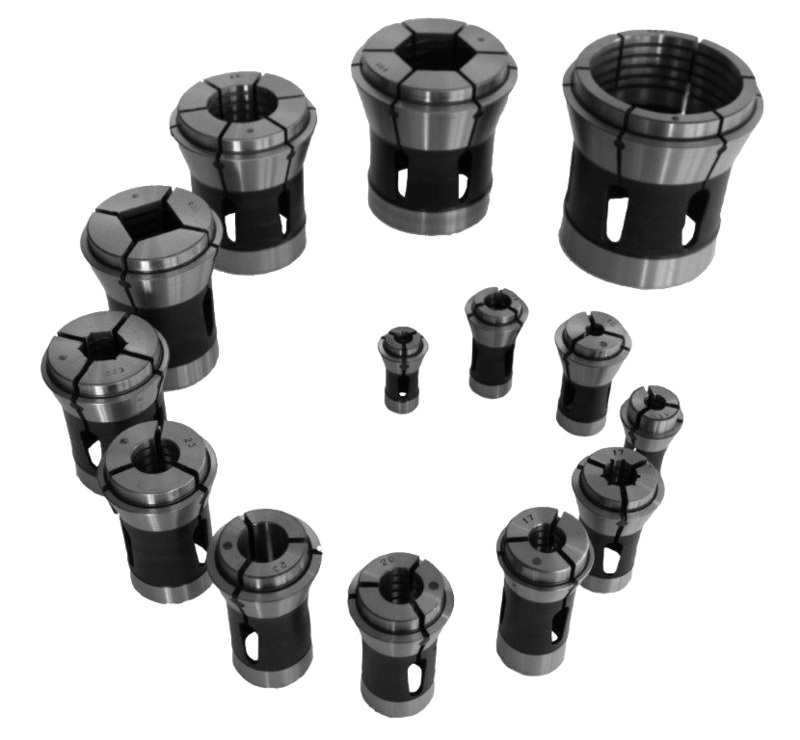 The MSCTN collet holders began as classic closing equipment for CNC lathes. They are made from a block of steel, galvanized and tempered at 60 HRC. 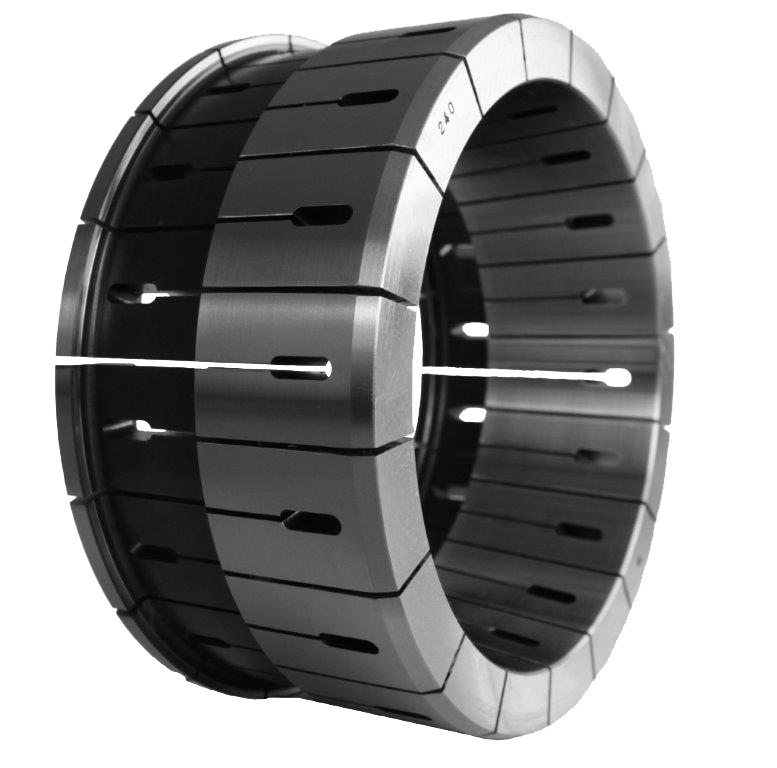 They are totally adjusted to ensure maximum duration, precision and balancing. 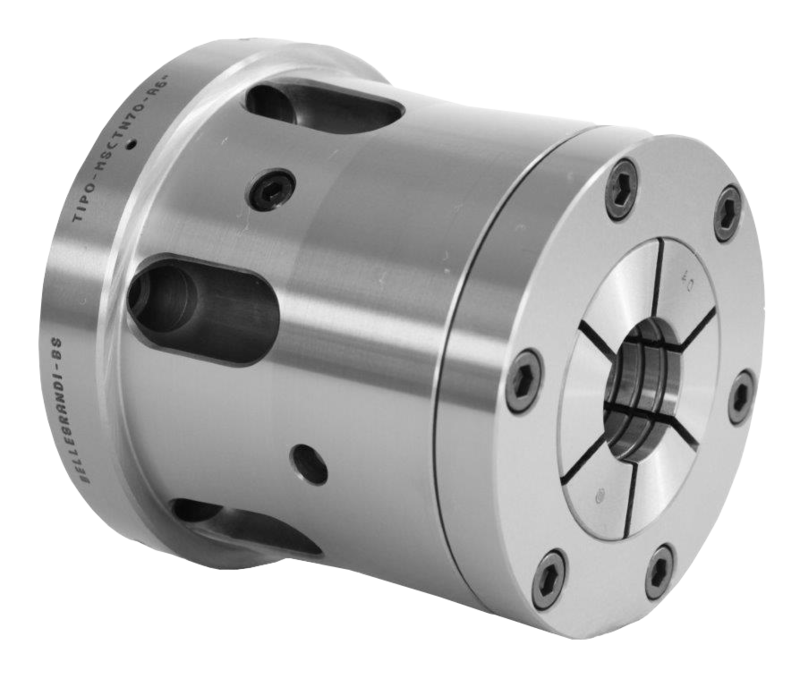 The MSCTN collet holders are made with IS0-A (DIN 55026) and FLANGE attachments (AF). The company began in Brescia in 1946 as "Bellegrandi Fausto", becoming "F.lli Bellegrandi" in 1950 as an outsource manufacturer of mechanical parts. Included in the company, although as apprentices, due to their young age, Mr. Cottini and Mr. Rovizzi, and in 1965 they became the owners of the company, then named "Bellegrandi F.lli snc di Cottini and Rovizzi." Since its inception, in 1946, in addition to the production of "standard" applications, the construction of equipment and closing systems made to the client's design has always played an important role, for which we guarantee the fastest times of manufacture. Since 1946 Bellegrandi is on the market as a manufacturer of mechanical parts for third parties. Our greatest asset is people, our goal is customer satisfaction. We assist the customer at 360 ° in his project, in order to maximize the result obtained. We make customized designs, customized spindles and many other products on customer drawings, guaranteeing the utmost speed in manufacturing.